Buying a hair removal device as a Christmas gift can be one of the most appreciated gifts a person could get. It’s unique, it’s not cheap, it’s useful, and it’s usually something used for weeks and month, so you will be remembered all they way till Easter. There are three or four brands which buying any one of them is safe and sound. Not all the devices you will see at Amazon are FDA approved, so follow these guidelines before you buy a device online. 1. FDA Approved – It’s the first thing to look for when buying a hair removal gift, you do not what the beloved one to use some cheap Chinese (or Korean) device, and there are few of those at Amazon. 2. 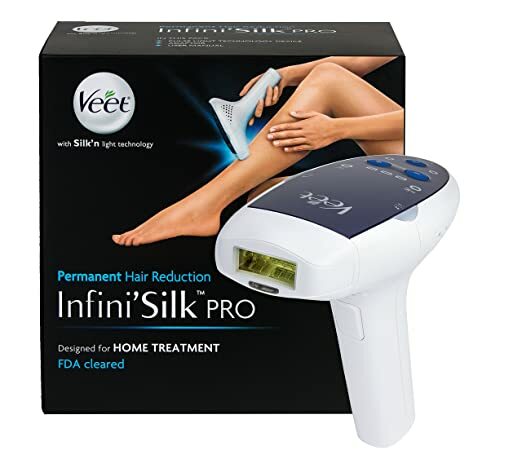 An effective device – There is no use buying a laser hair removal or IPL hair removal which delivers lousy results. Some devices function best on specific types of hair and skin, read below to learn which is most effective. 3. User friendly – Some systems are a pain in the neck, they take for ever to charge, and each session takes so long the hair grows back until you are done. Check which of the options is easy going and which is a hassle. The most suitable low budget option for a Christmas gift is the Remington IPL system. It’s effective for dark hair and light skin tone people. It’s has a low price tag. It is easy to use, simple without any fancy extras. What you see is what you get. Check about the Remington IPL price & shipping Here. The sophisticated home hair removal Christmas present would be the TRIA laser. The system is FDA approved, and is using laser to preform the hair removal process. It’s cordless, with a digital panel, sleek design, and well reputed brand. Most useful for small area hair removal like bikini line, pubic, chin or underarms. For large body area treatments it can be too time consuming. Check below the limited edition NEW Tria colors! Check here about Amazon’s TRIA laser deals. The utmost Christmas present you can buy, is the Me my ELOS Pro Ultra. Buy this system to someone you really LOVE! And they will thank you all year round. With the newest ELOS technology packing in a small elegant device, it is the safest device for all skin colors, including tanned to black skin! It is safe and effective for blond/red hair removal. It’s FDA approved. And has an enormous long lasting 120,000 flashes lamp (Remington has 1500 flashes). Check here on Me my ELOS deals and discounts at Amazon. The Best (2012) Home Laser Hair Removal Products on The Market? This entry was posted in IPL Hair Removal, Laser Hair Removal News, Laser Safety and tagged How To Buy a Christmas Hair Removal Gift, Laser Hair Removal Device For Christmas, Top Hair Removal Christmas Gifts 2013 by admin. Bookmark the permalink.